A new threat to the Elite Women's class? When you're the best at what you do and you do that thing year after year, it's easy to want a new challenge. 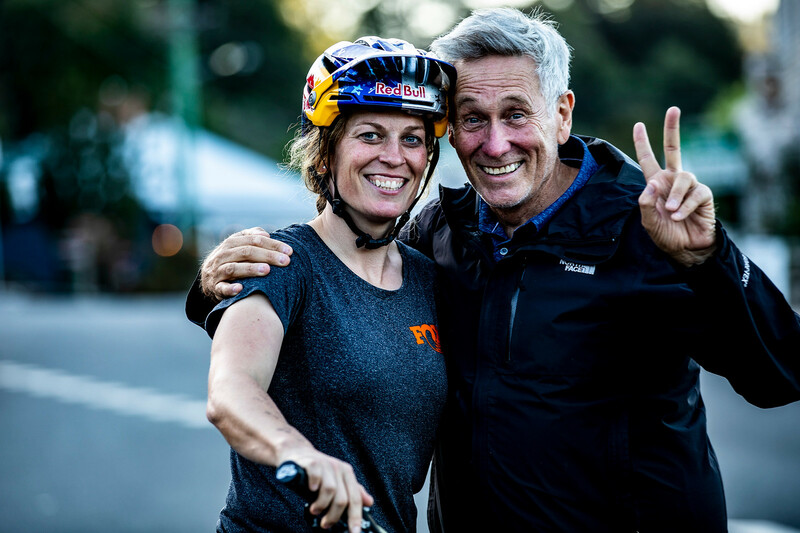 The MTB world was quite surprised to see the multi-time Queen of Crankworx, Jill Kintner, ditch the 2019 Crankworx New Zealand event. But now we know why - she is trying something new, racing her first-ever Enduro World Series in Tasmania. It sure seems like Jill would have tried this years ago, but she's patient and calculated with her decisions. Sven Martin caught up with Jill to get the scoop on this move and considering the footage of the trails we've seen from Derby, it seems like a no-brainer to us. One thing I know is that Jill won't be going into this unprepared... it will be interesting to see how she does. if I were the betting sort, I'd pencil her in for the 5-10 range based on her prior DH results. best of luck this weekend! ETA: Why run a camelback? So many better options... Get stuff off your back, onto your bike, or into a fanny pack at worst... Seems like an odd choice. Guesing they jill and bryn have the same deal with camelbak as with jeff kendall weed were in they have to be wearing camelbak when in mtb events and videos. Remember Tacey Mosely? She always wore a pack with all the tools and parts for repair. There is a reason she was dominant in the EWS for so long. Always prepared for anything. Jill we all know you are going to smash it in the EWS,best of luck this year.